Posted on April 25, 2018 at 2:39 am. 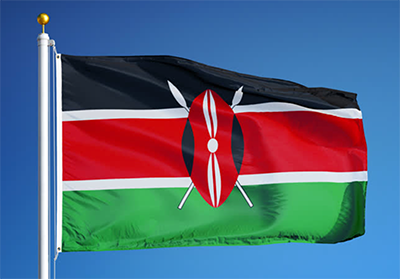 The Kenyan government is considering reviving its plan to impose a 20% tax on all gambling winnings. According to reports by the local media last Thursday, the government has already drafted the bill and presented to Parliament the Tax Laws (Amendment) Bill 2018 a day before. In this bill includes the contentious 20% tax on all winners of lottery, gaming and betting. Gamblers in the country have since been complaining after the news broke because any implementation will have a toll on their winnings. Kenya had such laws in the past, but they were abandoned in 2016 due to a number of issues that arrived on the implementation of the law. However, the government seems confident that the law will work this time around. If the bill is adopted and implemented into law, all gambling operators in Kenya will have to withhold 20% of the winnings which will then be paid to tax officials. The Tax Laws (Amendment) Bill 2018 is a follow up of the already imposed new uniform 35% tax on gambling operators’ revenue since January 1, 2018. In the past, all sports betting operators in Kenya had been paying just 7.5%. The news of an increase in tax, therefore, provoked most of the operators to protest saying it will force them to relay the additional cost to customers, or they would be forced to shut down. In effect, the Pambazuka National Lottery halted its operations after the implantation of the new tax regime. The company was previously paying only 5% its revenue. They further joined forces with the betting operator SportPesa to file a legal challenge, claiming the taxes were unconstitutional. It is alleged that the introduction of the 20% tax on gambling winnings means the government is using to reduce the tax imposed on operators. Operators have been lobbying the Government to have their tax reduced to keep them in business. However, according to government sources, the hike in taxes is to discourage the youth from engaging in gambling activities. It is also a measure to curb the growing gambling industry in Kenya. Sportpesa has also withdrawn its sponsorship of the already cash-strapped Kenyan Premier League and several clubs, although it is understood these sponsorships are close to resuming.